A dual scrubber and sponge that utilizes PowerCell Technology™ for powerful scratch-free scrubbing and ForeverFresh Foam™, an ultra absorbent sponge to get "wipe dry" results making it perfect for everyday cleaning tasks. · The DishFish Dual scrubber sponge offers both powerful non-scratch scrubbing for the kitchen and “single-swipe” cleaning for counters and everyday spills. 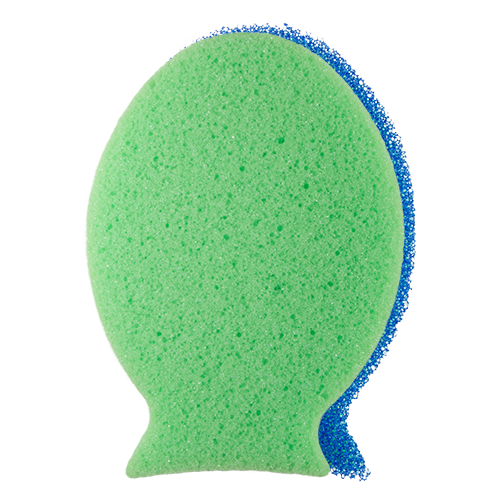 Clean glasses, pots, greasy pans, sinks and sensitive surfaces with this powerful, dual-action, scrubber sponge. The DishFish cuts through tough messes in warm water and even tougher messes in cold water. The DishFish won’t scratch any surfaces, whether it is wet or dry. The DishFish is made with PowerCell Technology and ForeverFresh Foam, a revolutionary process that actually thickens the cell structure to make them stronger. Its soft, pliable material resists breakdown. The DishFish is made with an open-cell structure with flow-through cells that are designed to quickly release water, food and grease. This advanced technology keeps the DishFish clean, and the added anti-microbial helps the DishFish resist bacterial odors, mold and mildew while avoiding those bad sponge smells. The ForeverFresh Foam inhibits stains and washes out those unsightly messes, while drying faster to stay fresh and clean longer. 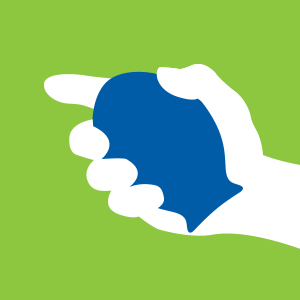 The ergonomic fish shape allows the scrubber sponge to reach tough, tight areas while fitting comfortably in your hand. The unique ‘stand-up, stay fresh & dry’ tail drains away excess water in minutes.